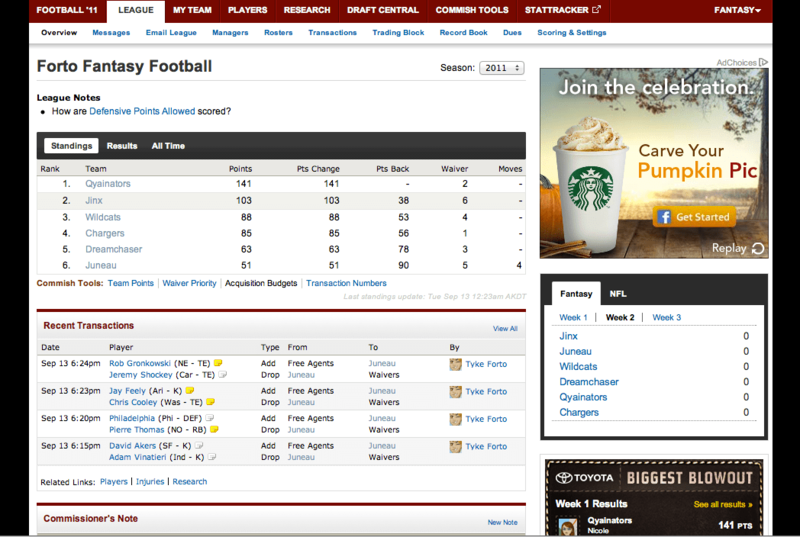 What a wild week 1 of the NFL season and Forto’s Fantasy Football. After a tenacious lockout this summer we were all holding our breath hoping that a season would take place. 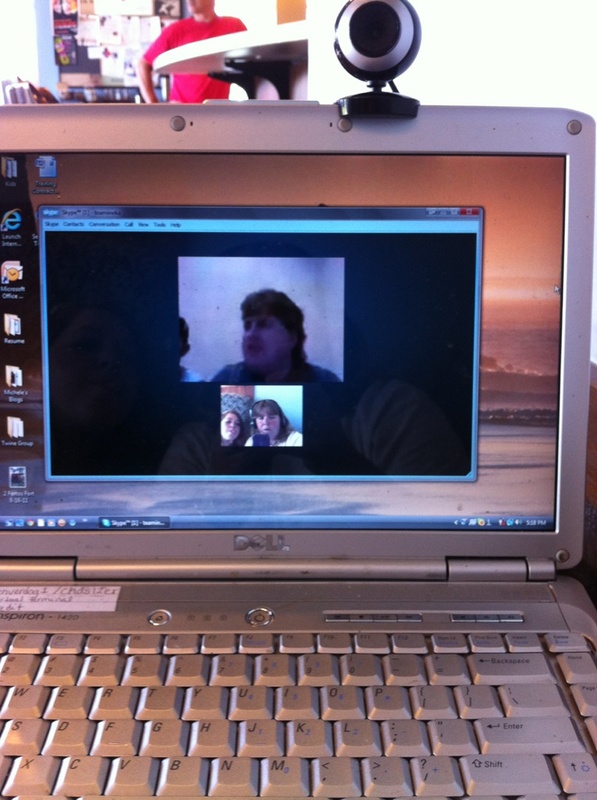 We drafted our teams over Skype with half the league in Colorado and the other in Alaska. Tyler (Juneau) and I (Jinx) were sitting in front of our webcam at at local Carrs Grocery store because WiFi at our house is just too dang slow. Michele (Dreamchaser), Kyle (Chargers), Nicole (Qyainators) and our good friend–Russell (Wildcats) were all at a Starbucks sharing a headset and a small webcam. The draft was completed and the smack talk began in earnest. I have the bragging rights in winning the coveted trophy for the last three years. Week 1 kicked off last Thursday night in earnest with a great game between the Packers and the Saints and brought the season to our living rooms and the flat screens. Cheers began and the constant checking of points on our iPhones was pushing our data plans to the limits. By this time, Michele was up here in Alaska with us. The weekend games proved to be great! While Juneau kicked himself for not starting Carolina Panthers rookie Cam Newton for passing for over 400 yards and 30 fantasy points. My team, Jinx got off to a great start with huge games from Michael Vick of the Eagles with 22 points and an almost unheard of performance by a fantasy running back, Rice of the Ravens with 29 points. Sadly I sat out Calvin Johnson (Lions) with him earning a respectable 20 points. Russell’s’ Wildcats had a respectable three players over 16 points a a great outing by his Chicago Bears defense earning him 24 points against the Falcons. Michele’s’ Dreamchaser had a impressive performance by her QB, the Saints’ Brees at 28 points, she struggled through the rest of the weekend with a lot of her players getting injured. Trades are a sure thing for her before week 2. Kyles’ Chargers were lead by his QB, Rodgers with 24 points and the one-two-punch with one of his wide receivers (Jennings) a hot target for his QB, and two other players earning points in the double digits. But the stand out star of the weekend was Nicoles’ Qyainators. Her QB, the Patriots Tom Brady earned her an impressive 35 points with 28 more going to one of Brady’s favorite targets, Wes Welker earning a cool 28 points. Don’t count out my little girl. She knows how to play fantasy football. In fact she is the last person to win the trophy before her dad took it over. Her team’s name is permanently engraved on the coveted trophy that we pass to the winner each year, along with full bragging rights. 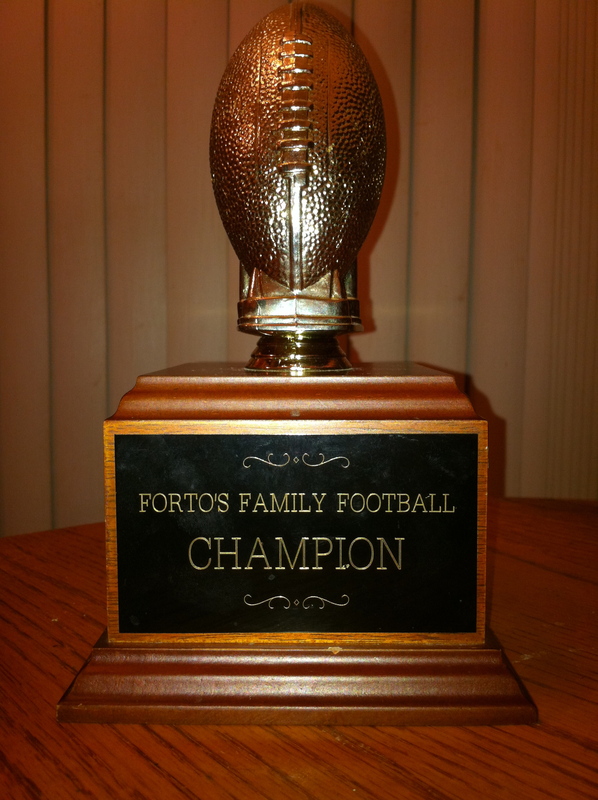 We all hope that week 2 will be just as exciting for all the Forto’s Fantasy Football mangers. It looks like it is going to be a great season! Previous The Adventures of Niko! I love you daddy, great article. And ya I may be young but I definately kick major booty in fantasy fooball! BRING IT ON!